Which picks does your club have? This story originally appeared on afl.com,au. 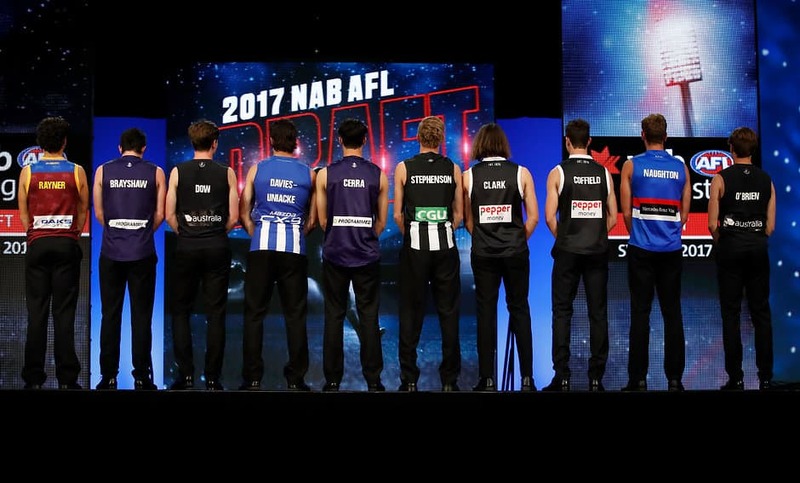 THE FIRST 10 picks of this year's NAB AFL Draft have been locked in ahead of October's trade period. The Blues will have the pick of the crop with the No.1 choice, with midfielder Sam Walsh and key forward Jack Lukosius the leading candidates to be the prized selection. Adelaide has two first-round selections – its own pick at No.7 and its second tied to Melbourne's finishing position – while Gold Coast's compensation pick is also expected to come in at No.3 overall. Port Adelaide's dismal end to the season sees it hold the No.9 pick, and it could have another early selection if North Melbourne's top pick (No.10 overall) is involved in a trade for Jared Polec. The Blues and Suns are also active in the second round, with both clubs holding two picks in that section of the draft. For this first time, clubs will this year be able to trade draft picks during the event.